Penelope Weaver’s back in Wickford, hoping to relax after a four-month trip aboard her boat. Relaxation is not something she should really have expected though – after all, she is a member of the only witch family in town. It’s no ordinary witch family either. Granny’s developed witch dementia, and Boris the goat is getting used to his new life of brandy and biscuits whenever he demands it. He’s starting a blog too, but that’s a whole different story. Penelope’s mother is still visiting the magical haven on a regular basis, and continuing her conquest to get Penny off her boat and back onto dry land. All things considered, everything’s relatively normal in town. When a murder occurs in Wickford, Penny, her best friend, and her sister, are drawn into the mystery, helping their oversized and under skilled policeman friend to solve it. There’s also a rumour going around that Barney may have the hots for Penelope, but Penelope’s mother disagrees. She thinks Barney may be Scottish. Penelope’s mother is a complicated woman. There’s a barking goose too. Come to think about it - the only normal animal in Penny’s life is her cat, Rosie. Join the residents of Wickford for some light-hearted fun in this 60,000 word cozy mystery novel, which contains no blood and gore, and only very minimal use of the tamest of bad language. Under Lock & Key was a book club pick (thank you book club). Penelope's witchy family isn't very traditional, and we can tell right from the start that she isn't either. When she returns from selling potions in her houseboat, she stumbles right back into her crazy family life, but this time there's also a murder involved. 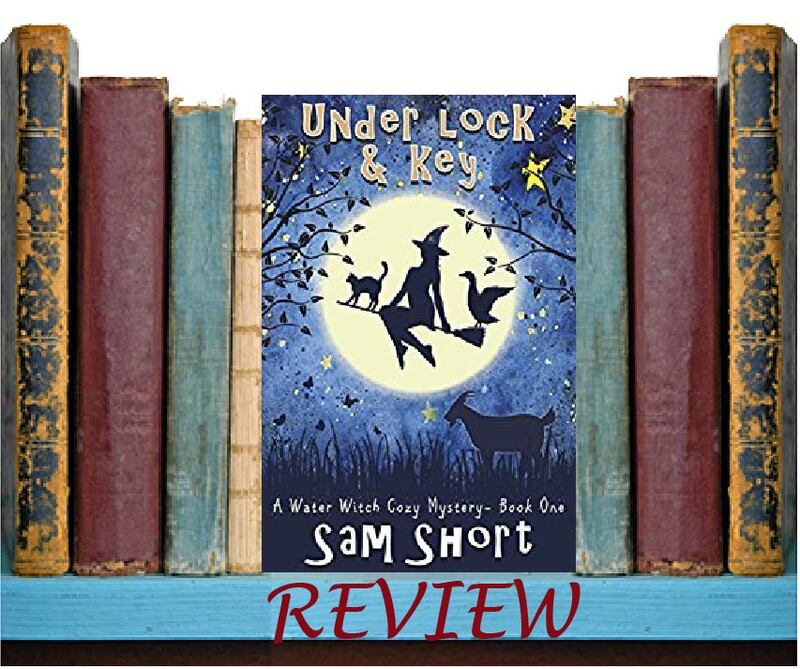 When she decides to help the police solve the crime, she begins a crazy journey with her Granny, a talking goat, and her best friend. Their story is hilarious, and I loved all the unique characters with such fun personalities and quirks. The mystery wasn't a doozy by any means, but the author was careful not to give it all away too soon. This book is perfect for escaping reality for an evening.